For years, social media was primarily a text-based circumstance, and social media directors were often people with a background in writing. (Our 2014 report on the employment histories of guests on my Social Pros podcast found more than 50% of that unscientific sample had degrees in PR/journalism/English). In those years, nearly all social media content was written (with a side order of UGC photography). Social success was often rooted in exceptional community management, with eager and talented individuals using humanity, humor, and witty phrasing to engage and delight customers and fans via organic Facebook pages and Twitter feeds. Because so much of social was about writing, it felt operationally similar to blogging, email, and related disciplines, most of which were (and still are) executed by in-house personnel. Further, because the tone and tenor of interactions with customers was such a driver of engagement, it was believed that community managers could best capture the spirit of the brand if they were employed by those brands. When social media was all about the writing, much of social media was performed by employees, with agencies providing strategic counsel and campaign support. But now, it’s all different. Today, social media is manifestly visual. The advent of Instagram and Snapchat (and even Vine, RIP) combined with the algorithmic emphasis on video currently de rigueur at Facebook and Twitter have made multi-media the coin of the social realm. Not to mention the impact of Periscope and Facebook Live. A recent study from Vidyard found that businesses are now creating an average of 18 videos per month (including social video). That requires a set of skills that are massively different than what social necessitated just two years ago. Do you need a photographer as part of your social media team? A videographer? A video editor? Multiple graphic designers? Maybe, and that’s not how it used to be. Organic social can work, of course. But increasingly, even the best social programs require at least a nudge – if not a shove – to attain the desired behavioral results. Is that an indictment of the power and effectiveness of social as a marketing tactic overall? Perhaps, but that’s a different blog post. For now, I’m certain we can agree that most companies are using paid social media advertising and/or influencer and advocate outreach to give lift to their social communications. And those require more and different skills. Community managers with a background in writing find themselves having to learn advanced media buying optimization techniques. Social strategists must now be able to unearth appropriate influencers and connect with them; skills that are right out of the historic public relations toolbox. Overseeing organic Facebook and Twitter is one thing. Those, plus Instagram, Linkedin, Snapchat, Youtube, Whatsapp, FB Messenger, possibly social media customer service, and more is another thing entirely. As social platforms have proliferated like stray cats on Molly, social teams have expanded alongside, with more and more head count additions. Channel proliferation combined with the rises of multimedia and paid amplification mean that social media requires more people with a broader set of skills than ever before, with many of those skills mimicking what is needed on a content marketing or advertising team. Plus, the change cycle in social appears to have no expiration date. This is especially true with paid, where Facebook and Twitter tweak policies, ad units, and interfaces seemingly every day. It is harder than ever to stay on top of everything that is happening in social, and that is not likely to change. To a pot of boiling water add: new skills needed; expanded headcount; key activities that feel an awful lot like advertising and PR (because they are); and constant change. What do you get? There’s no right answer to that question, as it depends entirely on the goals and objectives for social within the company, their in-house capabilities, their appetite for personnel expansion, and the aptitude and costs of agencies they might retain. But as I see it unfolding, whereas the writing/community manager era of social made strategic and practical sense to keep in-house, the advertising/video era of social makes those staffing decisions less obvious, given that agencies typically have these skills in place already. 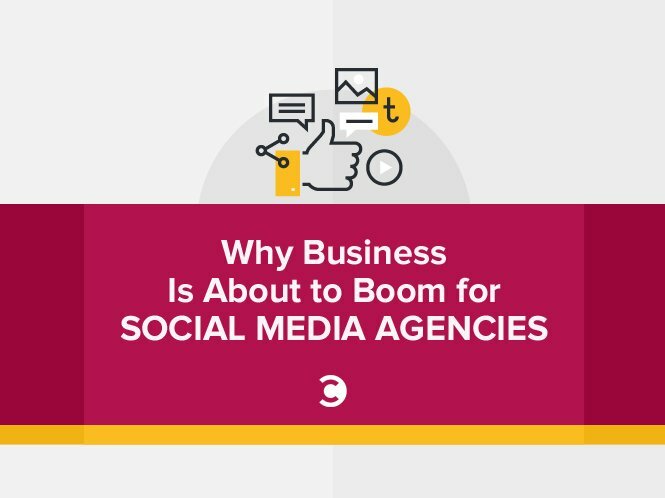 In short, not every social media team wants to morph into a full-service ad agency, and that’s essentially what is being incrementally required. I predict that the next 24 months will be a boom for social media agencies and public relations firms with a digital bent, as more and more companies decide the water is too choppy to try to navigate social alone. A note on motivation and bias: I want to be clear that I have noticed and am predicting an expansion of this trend. On this one, it benefits me if I am wrong, not right. Convince & Convert does social media, content marketing, influencer marketing, and social customer service strategy only. We are not an agency, and do not engage in tactical work. Thus, it’s better for us if social stays in-house, in most cases.